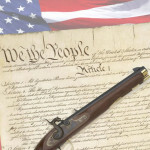 Dear Patriot,Please read and share this URGENT message from Dudley Brown, Executive Vice President of the National Association for Gun Rights. Anti-gun hysteria is reaching a fever pitch and President Obama recently announced he’s on the warpath — and he’s not taking any prisoners. My fellow Patriot, this is an all-out EMERGENCY. 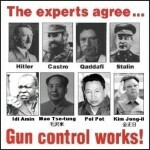 And unless YOU act today, I’m afraid we’ll be staring at a gun control nightmare. 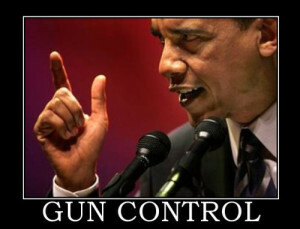 At a press conference immediately following the Connecticut shooting, President Obama made his intentions clear: He’s prepared to ram his anti-gun agenda down our throats. And sadly, the national media is more than willing to help him get his wish . . . The establishment gun lobby is nowhere to be found, deleting their Facebook page in an effort to run and hide from the fight. And all their phony “friendships” are finally being exposed for exactly what they are. 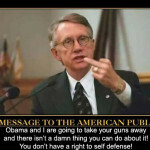 You see, Senate Majority Leader Harry Reid — who they handed nearly $5,000 to during his last reelection — just announced plans for Senate movement on gun control. And another NRA “A-rated” Democrat, Joe Manchin of West Virginia, is joining others saying he’s changed his mind on gun control. Even supposedly “pro-gun” Republicans, like Senator Chuck Grassley (IA), Lindsey Graham (SC) — even Marco Rubio (FL) — are happily playing into the gun-grabbers hands by calling for a total review of our gun laws! 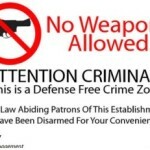 In fact, guns are used 2.5 MILLION times every year to deter or stop crimes. In fact, at the recent mall shooting in Portland, Oregon, the gunman took his own life after being confronted by a shopper carrying a concealed handgun. And there are literally dozens of stories of shootings being stopped by legally-armed citizens over the past few decades. Anti-gun utopia Mexico — whose anti-gun laws are so harsh it has only one gun shop in the whole country — is virtually owned by violent gangs who don’t beg “permission” from government officials before they get their hands on guns. This is exactly what’s happening right now. So if you want to ensure your Second Amendment rights are protected into the future, I’m counting on you to act IMMEDIATELY. Being involved in the fight has never been more important. 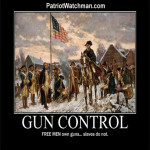 First, I need your signed Second Amendment Protection Petition to help drown out the anti-gun spin machine with today. In the coming weeks I’ll flood Congress with tens of thousands of pro-gun petitions proving you and I are serious about protecting our rights and we’re not backing down! Executive Vice President of the National Association for Gun Rights. What Happens When the Government Bans Guns? 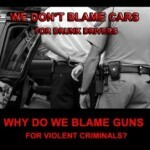 What is the Root of the Gun Control Problem? Is America’s Fate Foretold in Bible Prophecy? © 2019 The Patriot Watchmen. All Rights Reserved.